I love to go mountain biking alone. It gives me a chance to think, do my own thing, and have fun in my own way. 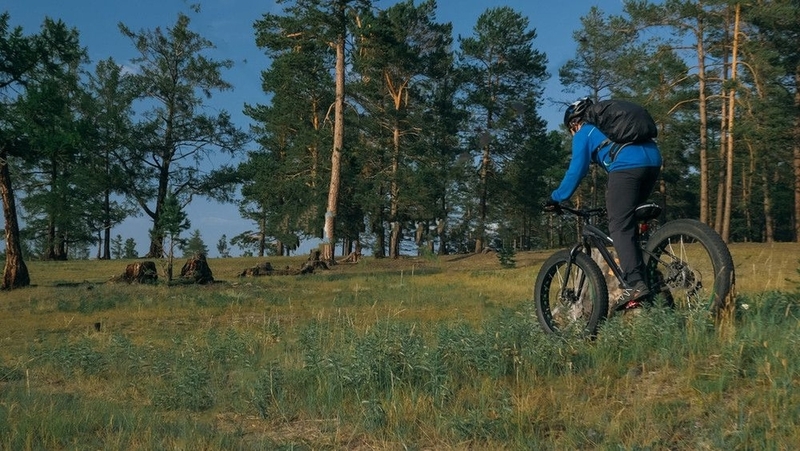 Some mountain bikers think solo riding is too dangerous and boring. This is because they are not prepared and they don’t know the benefits of riding alone. I have put together some tips to help keep you safe as well as other tips to help you take advantage of the benefits of riding alone. The first thing you should do before you go out riding is tell someone about it. Tell your wife or husband, or one of your children. Tell a trusted friend or relative. Explain to them where you will be riding. Give them directions for how to go there. Give them an idea of when you will return. They should have your phone number and you should have their phone number on speed dial, and on a place on your phone where you can call easily. If you are in an accident you want to be able to just hit 1 button and call them. What happens if you have a flat tire. You better have a spare tube otherwise it is going to be a long walk back to your car. When you buy a bike tire inner tube, be sure to unwrap it and take out the inner tube. You want to do this so you can refold up the inner tube so that it is more compact. If you do this well, then you can fit an additional inner tube in your saddle bag. Having two spare inner tubes is better than one when you are alone. Be sure to bring a handheld bike pump so you can fill up your spare inner tube with air. It should also have a pressure gauge on it so you know how much psi you are making your tire. If you have to, use the good old fashion way. Push on the tire with your fingers to know if it is pumped up enough. Call anytime, from anywhere with a satellite phone. If you are going mountain biking for half a day to a day then consider bringing a satellite phone. Being able to call from wherever you are will make you feel very safe. These types of phone are more expensive but might be worth it if you go out on long rides often. If you do these rides sometimes, then you can rent a satellite phone for a day. This can be a very cost effective way to stay in touch. Maybe you run out of food and you need to go to a gas station. Or you are very tired, and you don’t feel up to riding all the way back. Then you can take a taxi, bus, or train back to your neighborhood. Having cash and a credit card is very important because sometimes technology is not always working and you have to pay with cash. Or some merchants don’t accept cash so you have to use a credit card. Riding on the trail is going to burn a lot of calories and make you sweat. Bring foods which are high in calories like some power bars. Foods which are easy to carry, raisins, nuts, bananas. Easy to make sandwiches like peanut butter and jelly, or ham and cheese sandwich. The best drink to have is water or a 100% fruit juice type drink. If it is colder out then bring hot tea. Don’t drink drinks which have too much artificial sugar like sodas. This will only give you a short rush of energy and then later you will lose the energy. Hydration is the goal. When you are riding alone and something happens you are the only person you can rely on. If you did not bring something then that is it. No one is going to come along with what you need and save you, unless you contact them. It is always better to be as self reliant as you can especially when riding solo. So bring a first aid kit. Some necessary items to have in your first aid kit are, bandages, Ibuprofen, gauze, alcohol, scissors, adhesive tape, instant cold packs, water purification tablets, tweezers etc. You will be glad you have it when you are alone if something happens. Two of the most commons repairs you will need to do when you are riding alone are fixing a flat tire and fixing a problem with your bike chain. In order to do this, you need to bring the right tools with you or you will be stuck if you need to do either of these two repairs. For a flat tire you will need an adjustable wrench to unscrew the nuts. Then you will need tire levers to remove the inner tube. After that you need a pump or a CO2 cartridge so you can re inflate the inner tube. 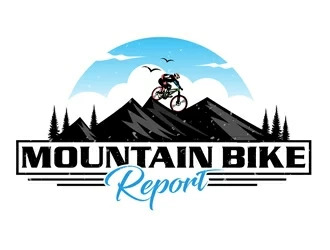 To repair your bike chain you will need a chain tool or a multi tool with a built in chain tool in order to remove any damaged links and to reconnect the chain if you are not using a master link. You can also use a connecting rivet or master link to reconnect the chain. You can ensure that you never get lost by using a GPS device. A GPS tracker can easily be attached to your handlebars. You can follow where you are by looking at the coordinates on the display. You can also turn on tracking and see where you have been. You can use the track points it displays to find your way back. You can also bike ride point to point. You will be given direction and distance to a specific location. The direction and distance to the location will be in a straight line. This will be the fastest way to get their. If you display data about your trip, you will be able to plan your route, analyze potential trips, and follow various maps. You can manage maps and download them with its powerful software programs. With enough practice, you will be an expert navigator for mountain biking. Maybe you have gone mountain biking in a desolate area. I understand, it is an adventure and that is very enticing. But let’s say you get lost or hurt and you are able to contact a friend or emergency services. How are they going to find you. As a last resort having a flare gun can be a good idea. Even if they can track you by your phone, it is always helpful for them to get a visual signal as to your location. When they see it in the sky, then they can immediately go to your location. Depending on how long you have been riding alone and how far you have ridden having tissues and or toilet paper can be a good idea. If nature calls and you really have to go, you will not have time to ride all the way back to go to the bathroom. If you bring toilet paper, unravel the paper first before you go. Then take out the cardboard roll and ravel up the paper without the roll in the middle. Now you will have a smaller roll of toilet paper which you can store more easily in a smaller space. If you are riding alone on the trail and you come across a section of the trail which you find difficult practice going through that section. You could walk through that section with your bike so you can see clearly the best way to go through it. Then once you have found the best line practice going through that line. Since you are alone this is the perfect opportunity to improve your skill. Ride through a certain section, then go back and do it again. You can do this as long as you want and take you time. Then move on to the next section. If you are a beginner or intermediate riding on trails that you know very well is a good idea when riding solo. There will be less of a chance that you will be surprised by a section of trail and crash. You will know ahead of time where to slow down and where to speed up. Knowing where drops, small obstacles, and jumps are will give you the extra time you need to prepare for them. You can set up your body position and weight correctly so as to go through that section smoothly. You are out there all by yourself. You don’t have to follow anyone, and you don’t have to wait for anyone. You can go off on your own any time. As you go off on your own you may see some pretty cool views or areas you’d like to ride through again. If that is the case, you can mark off where you have been with spray paint or tie a ribbon around trees you pass by. Then you can go back and ride through it again and again. You can tell your friends and later have them follow you through your own trail. Cool. You are riding in a trail park or on a trail you know very well. How about timing yourself. No one is around and you can go as fast as you like within reason. Don’t go crazy. But now would be a good time to time yourself and keep track of it in a notebook. You could time yourself going through the entire trail. Time yourself going through the first half of it and then the last half of it. See which parts of the trail you are slower on or faster on. Then with more practice you can improve your time. As you are riding out there by yourself, live it up. Shout out loud, do some yelling. You don’t have to be shy, no one is out there with you judging you. No one will be able to hear you, and if on the chance a person or two does hear you, they won’t care. After blazing through the trail, shoot your arms up over your head and yell yeah! Or what ever you want. Nail an awesome jump, then get off your bike and jump around, or pop a wheelie in excitement. Express yourself, do whatever you want, this will increase your energy level. Out on the trail, some riders may find it boring, solo riding. But maybe they have to solo ride because they have a difficult work schedule, or their friends are busy. Listening to music can keep you going. Put on only your favorite music songs. Music can distract you from feeling bored, or from feeling tired. It can energize you and increase your adrenaline in order to handle rough terrain. It can help you keep going when you feel like stopping. Depending on the type of music it can calm you down and keep you focused. On the other hand you may have had a stressful day and you want to calm down and relax. Riding alone through the forest can be very peaceful. Just listen to the gravel and dirt under your tires. Hear the impact of the bike as you land after going over a jump. The splash and spray of water as you whiz through it. The skidding sound as you turn and go through a corner. Or just focus more on your ride, as you and the bike become one unit. Ride in an almost meditative state while still being fully aware of each moment. Riding in a group is fun, but you feel pressured to keep going when you might not really want to. Or you have to stop if more than one person in the group wants to stop, even though you are psyched to keep going. Now by yourself, you can ride when you want to ride and stop when you want to stop. Come across a great view, you can stop and hang there for a while. Take a break before going on more difficult terrain or before climbing a hill. No pressure to keep going when you don’t want to. If you bring your watch you can decide to ride hard for 30 minutes and then take a break. Or decide to have lunch at a certain and break then too. If you have a dog, then now is a good time to bring him. With no people around your dog can run along with you. Your dog can run ahead of you or stay behind you. If you are in a group this would be much more difficult to pull off. Practice training your dog to mountain bike with you. Make sure he responds to your calls. This is especially important when there are other riders around. So, now with no other riders, it is a great time to practice this. Even though you may have a GPS device and a map. It is a good idea to notice any landmarks which stand out. Being familiar with the trail using your own eyes is always better than relying on a map. Landmarks could be a strangely shaped rock or tree. Or a certain corner on the trail you can remember. A rock garden or an especially steep hill. All these landmarks will help you to know where you are. The probability of you being attacked is very low. But it does not hurt to be prepared especially for women or smaller sized men. Consider taking some self-defense classes. You never know, there might be some delinquents hanging out in the woods drinking or just looking for trouble. You might want to carry a taser or pepper spray. But I think if you get jumped while on your bike it will be difficult to get to them. Come up with a plan of how you will get the taser or pepper spray in an emergency. A good place would be to strap it on your lower leg. That way if you were jumped and thrown off your bike, when you land you could get to it quickly. I think self-defense would work best, but decide what will work best for you. Either way have a plan in case this remote possibility happens. A taser and pepper spray are inexpensive, and self-defense classes for a month or two is well worth it. Riding alone can be lots of fun. I have given you lots of tips so you have many options to choose from. You don’t have to use them all, but use the ones that you need.